If you’ve ever wished you didn’t have to run ‘stat weights’ every time you changed talents or gear, you’re reading the right article. How do I join the Global Network? If you’re wondering what the Global Network is, read this more detailed post. Ready to join? Contributing your computing power is easy and we have a few options so it doesn’t interfere with your gaming (like slow it down, that would be bad!) It also will never interfere with your bandwidth, so it won’t affect streaming Netflix – the data sent back and forth is 10x smaller than a simple image. What we need is your computer’s processing power, not your bandwidth. There is one exception: If you have a laptop or computer that is prone to overheating when under heavy use, we suggest you do NOT join the Global Network. We appreciate that you want to help, but laptops in particular aren’t good under full, constant CPU use. If you’re wondering how big of a difference you can make – a big one! Every person counts and my initial goal is to get 500 people connected. I hope you will be one of them, and if you are, take a look at the progress we’re making on this status update post. If you are familiar with the client already, it’s easy. When you have the client open, press any key to bring up the menu. You’ll see a Global Network option. Select that, and if you want you can set a schedule (jump to step 5 for more details below). If you already have it, make sure version 331 or higher is running. If it isn’t, just run any simulation from the site to force it to update (or download it again, whatever you prefer). Hi there. So you’ve probably been told at some point in your WoW days to ‘sim your stat weights.’ You might even have recently run a custom setup for yourself. You probably aren’t doing this because you want to, but because you have to. I mean, the fun part is getting the best gear recommendations so you can spend more time crushing things in game, right?! What if I told you that you might never have to sim your own stat weights again? Would you even believe me that it is possible? It is possible. It really, truly is. But… (you knew there was a ‘but’ didn’t you?). But… we need you to join the ‘Global Network’ to make this happen. What is the Global Network? It’s a collection of computing power from people just like you, that we utilize when you aren’t using your computer. If you’ve ever heard of SETI@home, which uses idle computers to search for aliens, it’s like that. But instead of searching for aliens, we’re searching for the best sets of gear for each character. Aliens might be more exciting (or more terrifying depending on what movies you watch)… but they are reaalllly far away. Finding gear is something you can enjoy today. We’ve been using it for the past tier – labeled “Adaptive Gearing Strategies” on our UI (instead of ‘stat weights’). And now, we’re running them for Antorus, as I type this! The Spellblade script models the fight very closely when executing the fight well, for a 20-person group. The simulator also takes into account the chance you are targeted with something bad (like Mark of Frost) and have to move. When that happens, the rotation automatically starts using spells that are castable while you run. 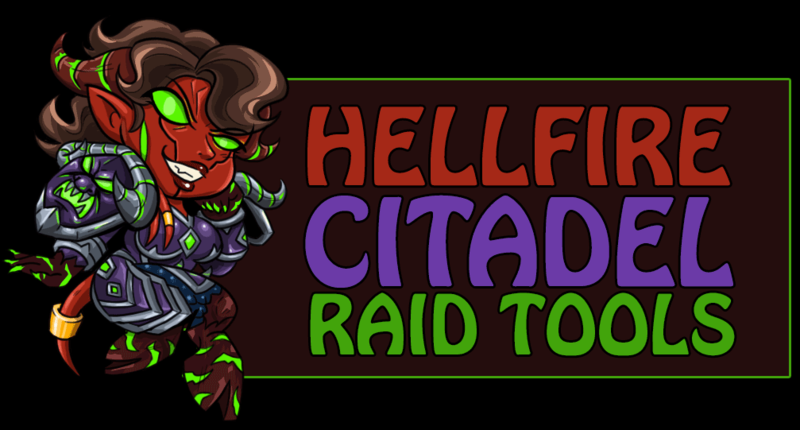 We have really cute raid bosses that we commissioned from @Cadistra. Full Suite of Raid Tools! So you want to get better, amirite? Mr. Robot has a new feature to help you. He will FIND a bunch of players to compare you to… ones that have similar gear levels, set bonuses, legendaries, trinkets, and more. If the fight lengths differ, he calculates a delta, so that everything is fair. You can even compare talents, glyphs and stats. It might not be their rotation making them better, it could be they have 20% more crit for the same gear level, and that is actually your best stat. We took a different approach to viewing log data than traditional combat log sites. We put top level data front and center, then make pretty much every data-bar clickable for more details. That way, you can dig down to the data you want, without being overwhelmed with too much data in any particular view. Here’s a 1:40 video highlighting some of the cool data. We have really easy-to-use graphs. A lot of people don’t know that, so let’s change that. Below is a 40-second video showing you how to find the graphs and what they can do. We launched this project for Highmaul and Blackrock Foundry. We wanted to see if we could find the important information in a log, FOR YOU, so you didn’t have to spend time digging through a lot of data if you didn’t want to. In addition, we wanted to give you context to that data… just because you know you killed the adds in 5 seconds or less, doesn’t mean you know how good or bad that is. Until now – we aggregate data across all teams who successfully kill a boss and show you how you score. Now you DO know if it’s good or bad, so you know where to focus your efforts. We process the data automatically each night, so upload you logs asap on Tuesday so we have enough data to be meaningful. Then check back Wednesday to see your report (it’s retroactive, if you uploaded Tuesday, it will show up on Wednesday). This is a one-time waiting period as each new boss gets enough data… after that, you see infographs immediately after uploading them. Get the desktop application here. 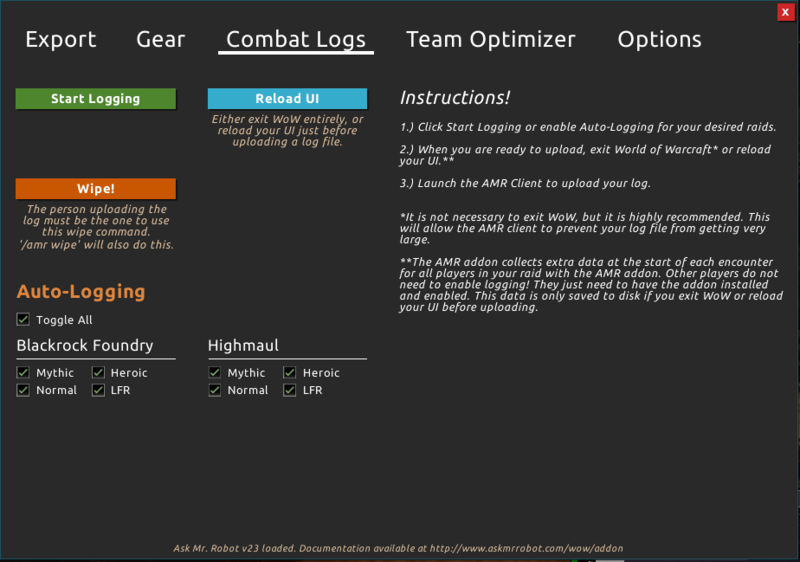 Optional: If you want gear data tied to the logs (you should, silly), get the addon here. You can if you want. No need to do ANYTHING else with the addon, other than have it installed. IN YOUR RAID: you need to start a combat log. You can do this by typing /combat log in the chat window. 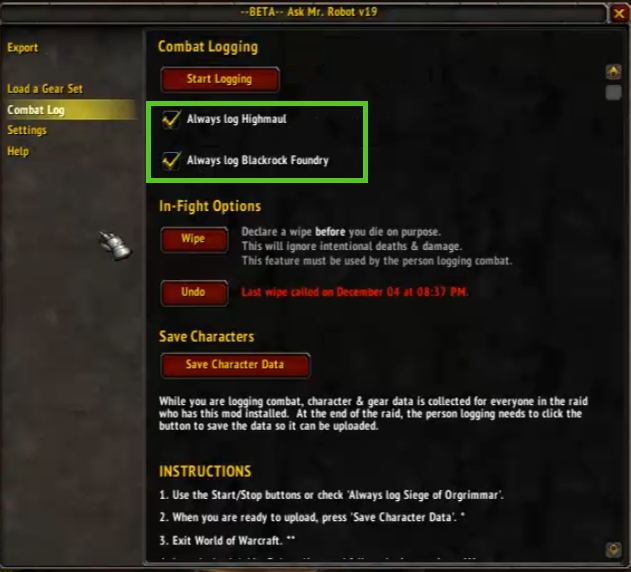 OR, use our addon and either check the box that auto-logs (my favorite) or click the ‘start logging’ button. When you are logging, the Mr. Robot addon icon will be green. 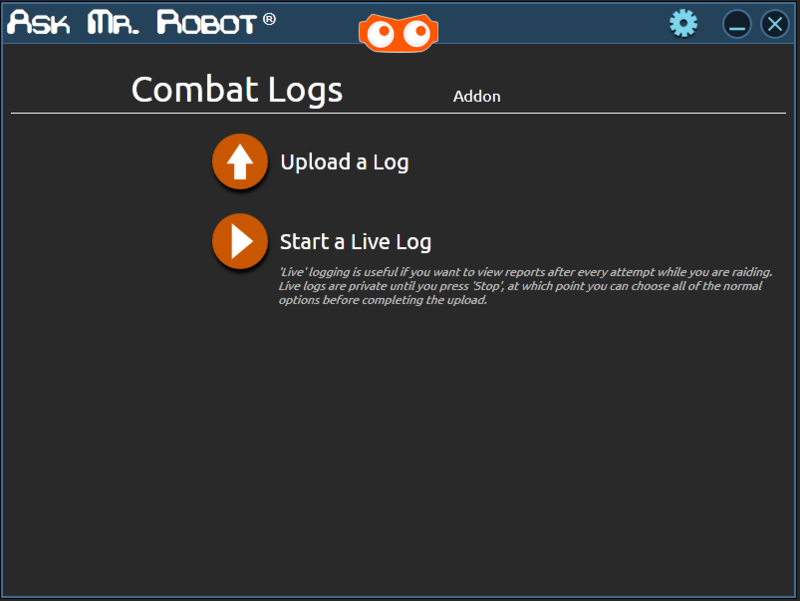 After your raid, upload your logs with the desktop application. When you’re done, click the big button to view your logs, or just load your character on our site and the logs will show on the right side. Then check back Wednesday to see your infographics. Remember, we need at least a day to gather enough data to make the infographics meaningful. This is a one-time waiting period when new bosses come out. As bosses drop loot, Mr. Robot will rank them for every member on your raid team. Find out who big of an upgrade it is for each person… is it a 1% for MageMaster and 6% for WarlockOfDoom? Will that change how each of you rolls or bids? It is meant to help you make loot decisions, no matter what loot system you use (roll, dkp, loot council, etc). The Live Loot Ranking is part of the Team Optimizer, a premium feature. It’s $1 a month and only ONE person on the team needs premium. Once you import it into the addon, everyone can see the ranked results, whether they are premium or not! Mr. Robot looks at all of the gear you own, then finds the best set to equip. Gone of the days of needing static BiS lists – when items have a chance to be warforged or have a gem socket, it gets thrown out the window. That’s where Best in Bags comes in – Mr. Robot KNOWS what you have and makes sure the best items are always equipped. This is part of premium ($1 a month). First, I want to be very clear. 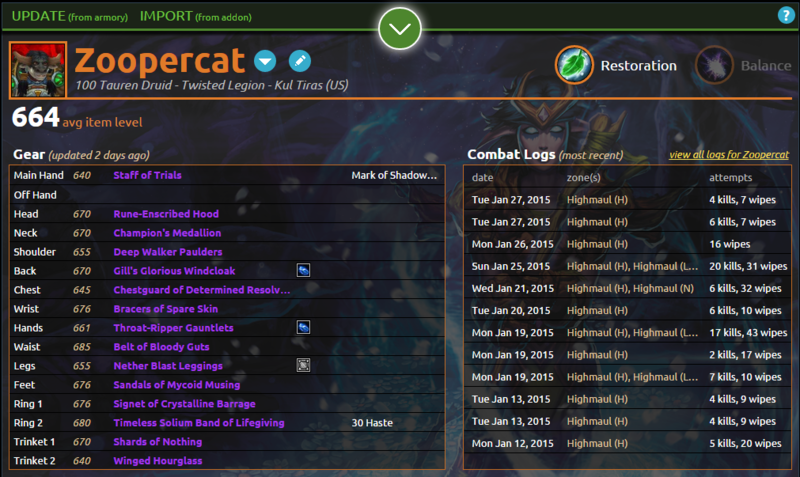 All of the combat log features (data, graphs, inforgraphics and comparisons) are free. The Live Loot Ranking, Best in Bags, Bonus Roll Helper, no ads, and more all come packaged in one premium price. $1 a month. Everyone gets to try the features free for a week (no credit card is ever asked for, during the trial… that’s just shady and we don’t do that). If your trial is over and you want it reset, we’re happy to do it. We believe that you should be able to try the cool stuff before you buy it. If you need a reset, email your AMR username to feedback -at- askmrrobot dotz com. I know a lot of you reading this are already premium, and I want to give you a huge hug! There are only 3 humans working with Mr. Robot and you help support us. We turned this site into our full-time jobs, which is what lets us make all of these cool features. It also helps us support other fans and fan sites. 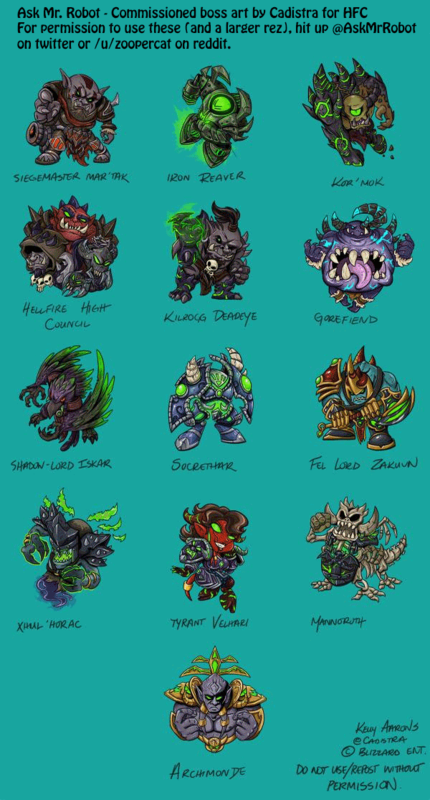 For example, we commission a lot of art, we help pay for servers on other sites, help fund Blizzcon parties, and so on. On behalf of all of us, Thank You! It is such a rewarding experience to work on Warcraft stuff full time AND be a positive source for people too.